I started Aquinasblog a few years ago to understand and put into my own words the thought of Aquinas. So take a look around. Just keep clicking Next in the upper right corner. Also comes with a nice outline. 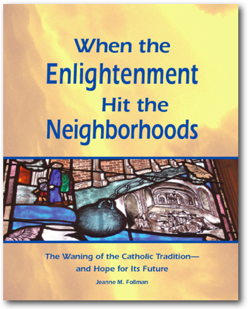 And since then, it's grown into a book, in which Aquinas plays a starring role: When the Enlightenment Hit the Neighborhoods: The Waning of the Catholic Tradition—and Hope for Its Future. Why has the traditional, authority-based way of doing faith collapsed? Why is there such massive indifference to faith? And why, for those who continue to participate, is there such fragmentation of identity, with splits across the progressive/conservative divide and splits across time, between the pre-conciliar Church and the post-conciliar Church? Faith and reason are in a fight and faith is losing. That's why Aquinas is important, even today. Check it out at Duomo Press, read some excerpts, buy it at Amazon.